We had a lot of snow last week so the kids were home most of it due to snow days. That meant the lunch boxes were put away and it was Mommy's cooking for lunch. I asked them what they felt like eating for lunch and it was a unanimous request for pizza. I always keep my pantry pretty well stocked, so I was happy when I saw a prepared pizza crust on the shelf. I also saw a can of crushed pineapple and inspiration struck. 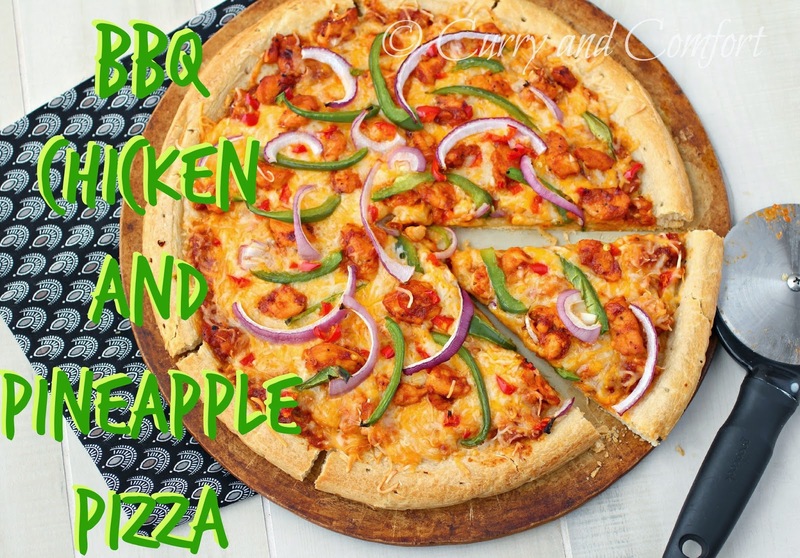 I have always wanted to add pineapple to my pizza, but the kids see chunks of pineapple and say "no way!". 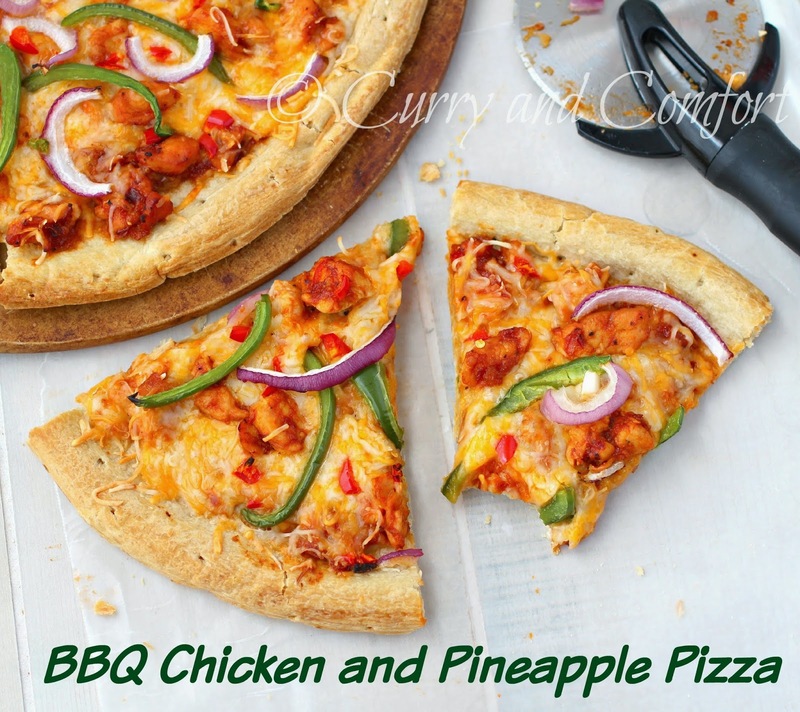 I knew the crushed pineapple would make a great addition to a bbq style pizza, but I just needed to hide the fact there was pineapple in the sauce from the kids until they actually tried it. I told the kids they could not help me make lunch since it was going to be a surprise. They were happy to play while I cooked. The sauce came together so quickly and it tasted great. 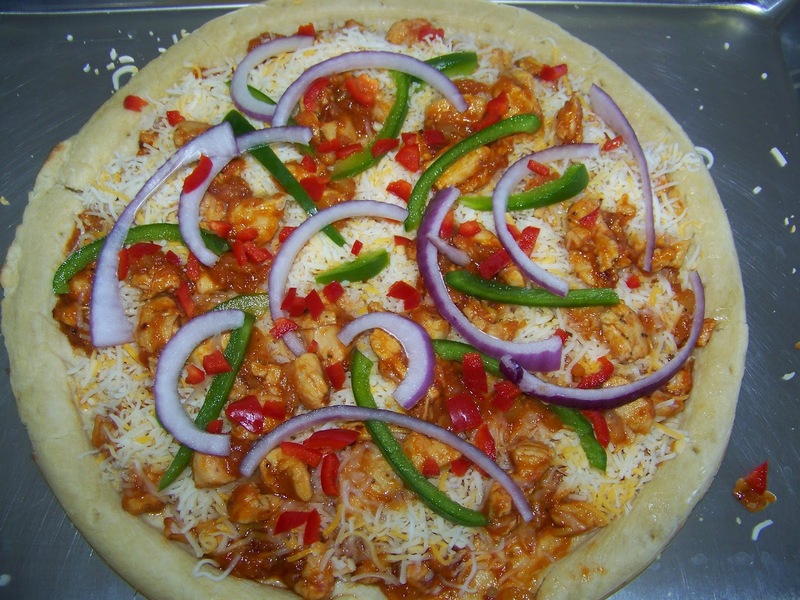 I topped the pizza simply with cheese, peppers and onions and then baked it. I waited anxiously for the kids to try their first bites. I was hoping they would not immediately shoot the pizza down because they tasted pineapple. My son happily ate his first slice and he kept asking me what was the big surprise in the pizza. After he ate his 2nd slice, I told him it was crushed pineapple. I thought he would say "ewwww"... but he actually said that he thought it made a way better bbq sauce than the bottled stuff some bbq chicken pizzas use. I agree with him! 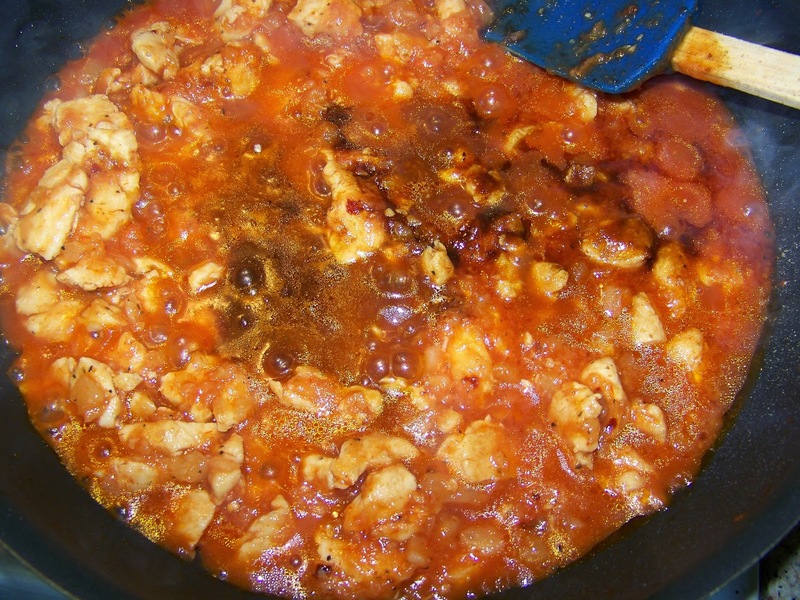 Sometimes the bottle sauce can be very overpowering flavor-wise and this sauce was sweet, tangy with a little kick. 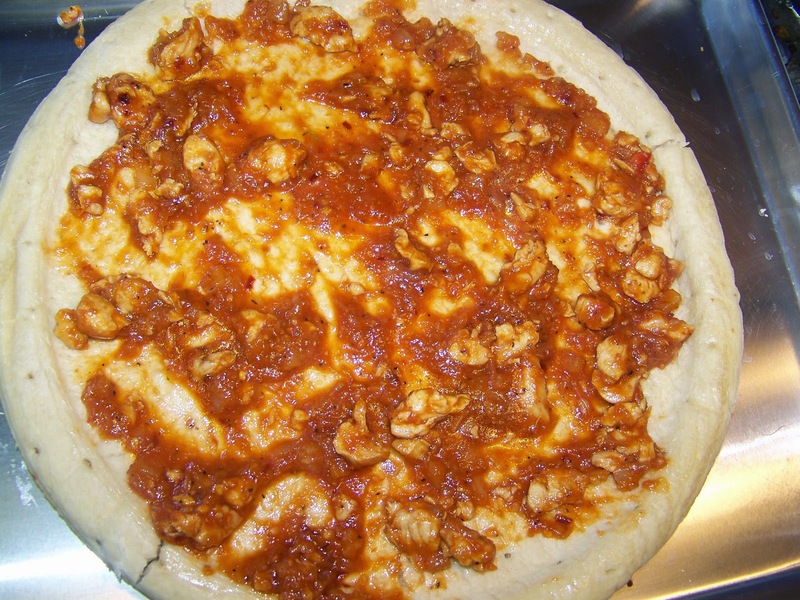 It was not overpowering the rest of the pizza ingredients. The pizza was a big hit and my kids learned a lesson that day: Don't say you don't want to try something until you actually try it first. Now we will have to stock up on crushed pineapple because we may have a new favorite pizza sauce. 1lb grated cheese (I liked a mix of Mexican cheese like colby, monterey jack and cheddar cheese or you can use all mozzarella). 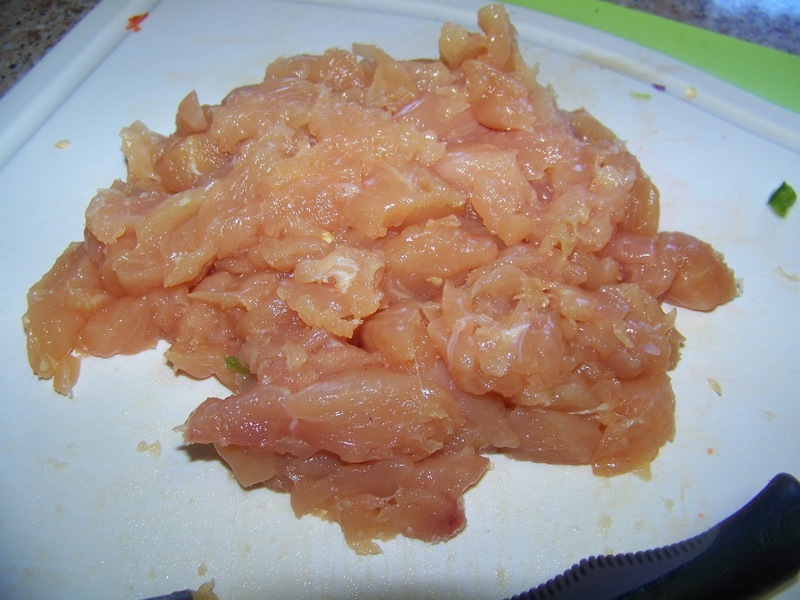 Cut boneless chicken up into small bite size pieces. 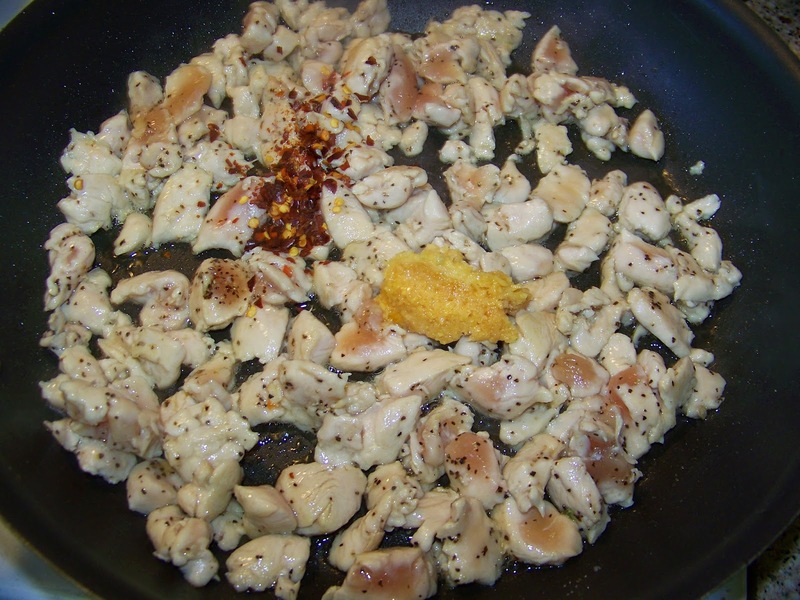 Heat 2 Tbs of canola oil in pan and brown chicken. 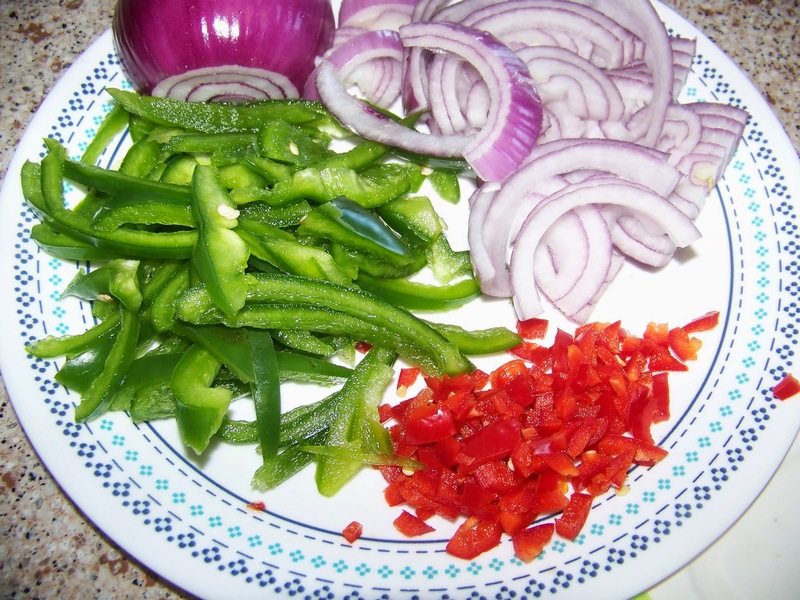 Then add garlic, salt, black pepper and red chili flakes and saute for another minute. 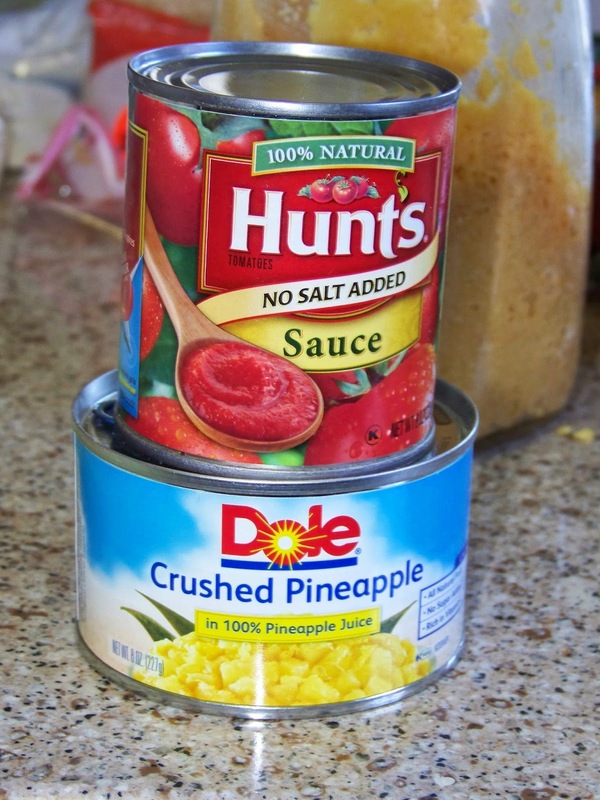 Next add the crush pineapple (with liquid) and the can of canned tomato sauce. Season with soy sauce, brown sugar and rice vinegar. 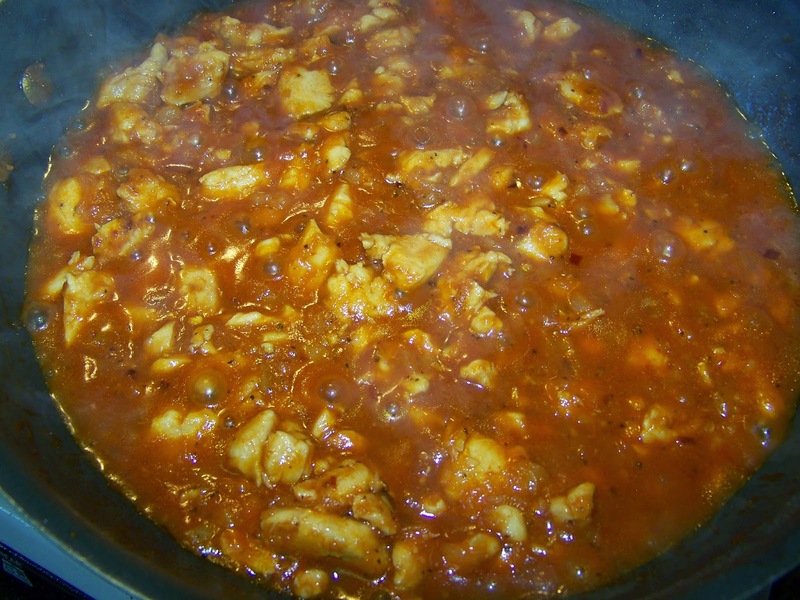 Cook for 5 minutes until chicken is cooked through and sauce has sweet and tangy flavor. 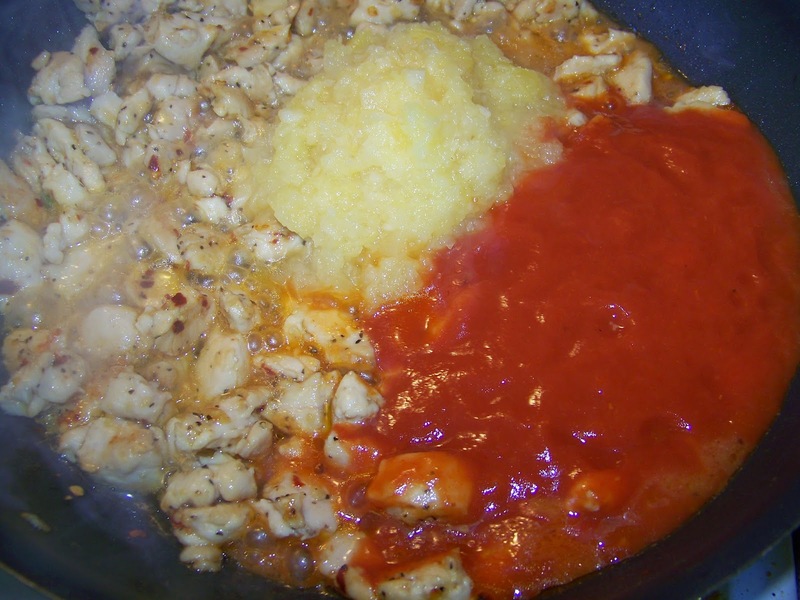 Allow Sauce to cool down a little before proceeding. 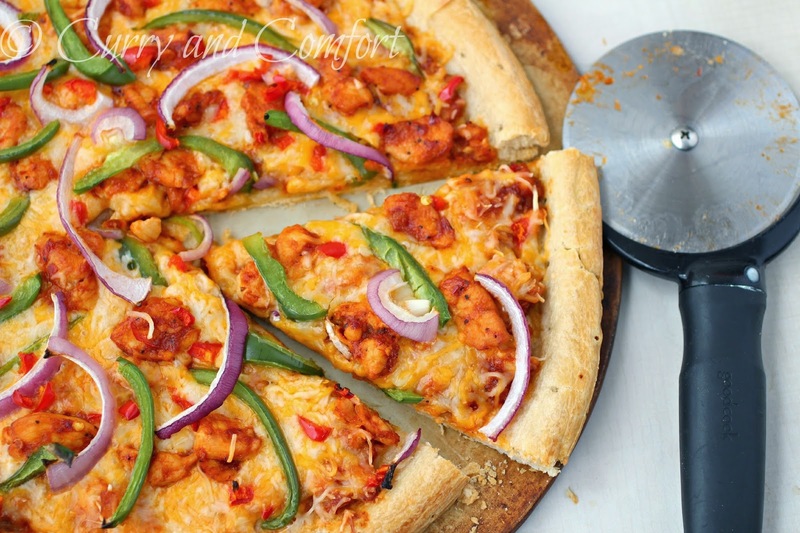 Separate out the larger chicken pieces from the sauce to top pizza. I used a prepared pizza crust and applied a small amount of olive oil over the base of the crust. 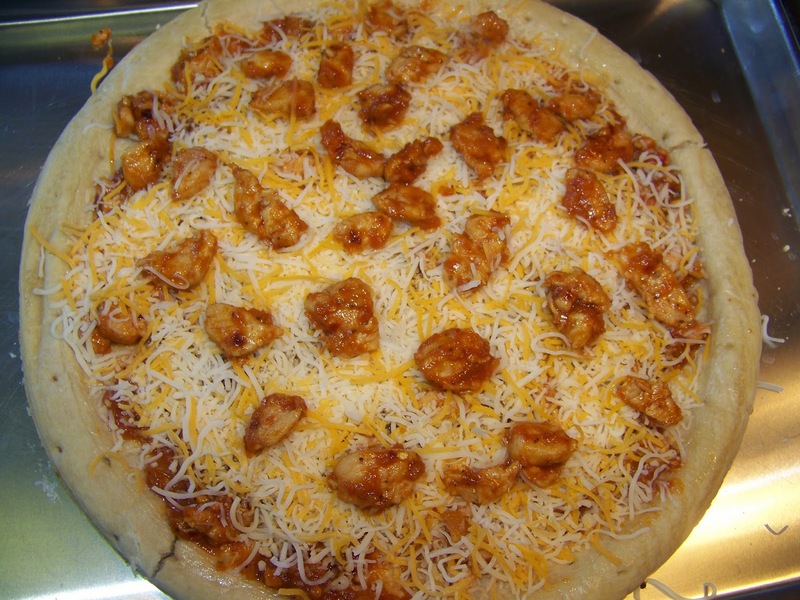 Then spoon and spread a little sauce and a few smaller pieces of the bbq chicken on the pizza crust. Cover with cheese. 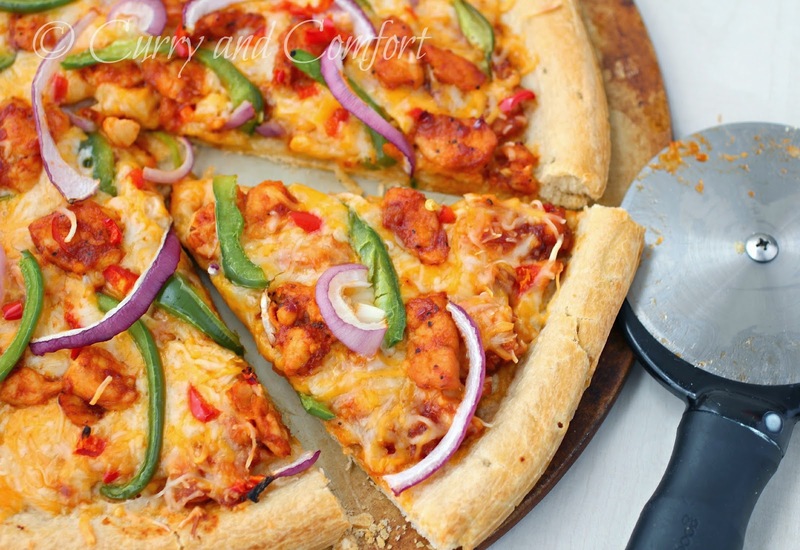 Top with larger pieces of bbq chicken, peppers and onion. 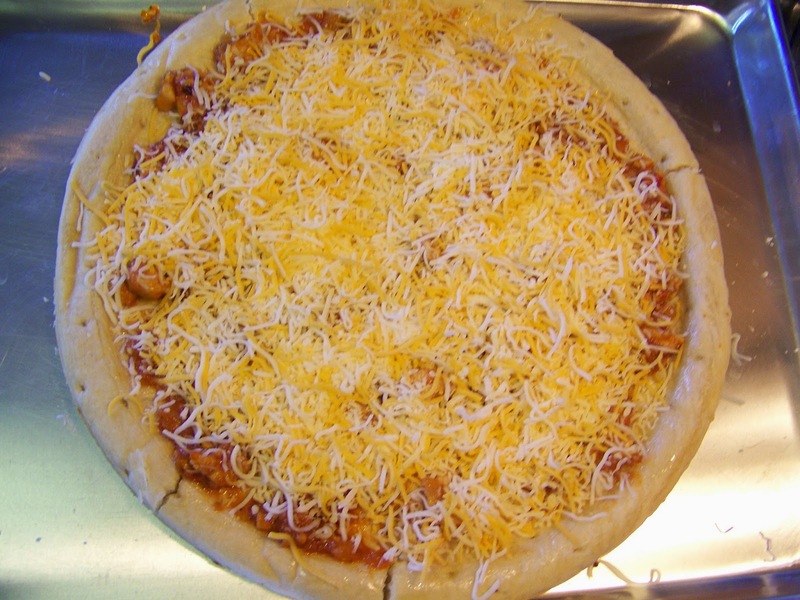 Bake in a 425 degree oven for 15-20 minutes until the cheese is melted and the crust is crispy. Slice and Serve. Enjoy.